The vast world of nutrition and nutrition science can be difficult to navigate. Do you count calories? Omit carbs? How do you track macro- and micronutrients to make sure you’re getting all you need? If you’re working out, are you eating enough muscle building foods? Even after earning my degree in nutrition science, I still find all of this overwhelming. For me, food is more emotional than scientific. Yes, I want to be healthy and well-nourished, but my meals, gosh darn, better be yummy and satisfying, too. As stated above, you’re presented with the founding principle behind making pancakes “healthier.” However, the term healthier is a somewhat ambiguous, hot-button term in the realm of food studies. What is “healthy” for one person, might be (is often) different for another. Barring any medical issues, I have found all of this really does come back to the often misunderstood “b” word: balance–especially when aiming to gain muscle tone and mass. When lifting weights, your muscles require protein and carbs to grow, even more so following an intense workout. Carbohydrates help fuel the delivery of proteins to your hungry muscle fibers. So, if you’re weight training, carbs are not the enemy. Aim for a balanced diet that’s rich in high-quality protein. Our favorite muscle building foods are protein pancakes. They’re yummy, convenient, and satisfy those cravings for sweet treats, which are often devoid of beneficial nutrients. 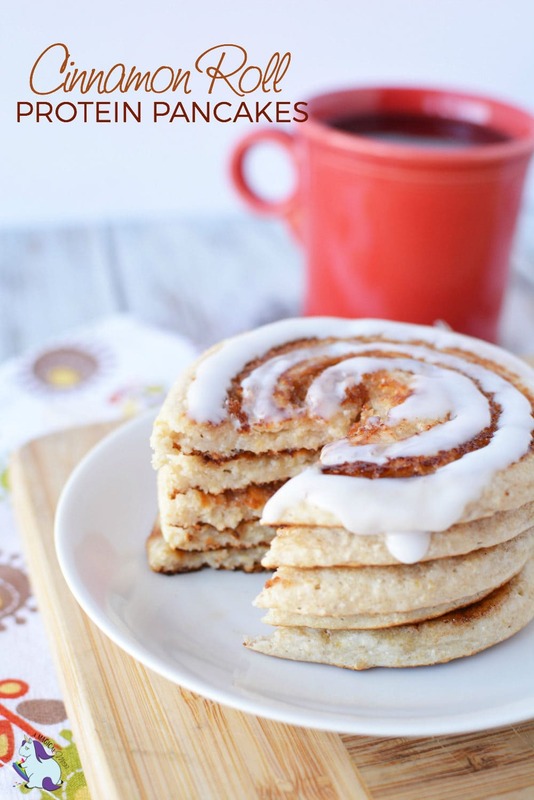 Enjoy that cinnamon roll flavor without the dreaded sugar crash after. 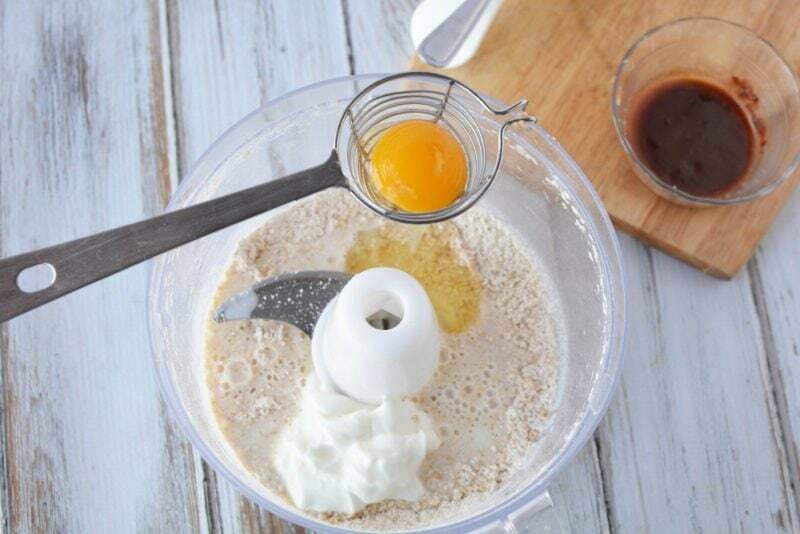 Protein pancakes are well-balanced and make a great treat any time of day. 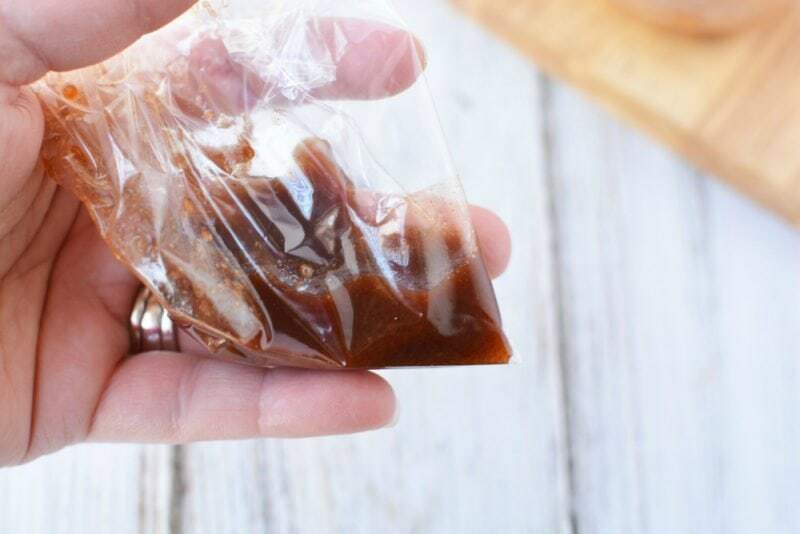 Mix all ingredients together in a small bowl and pour into a re-sealable sandwich bag or squeeze bottle. Set aside. Mix the water and powdered sugar together until smooth. Add additonal water if necessary--a little at a time. 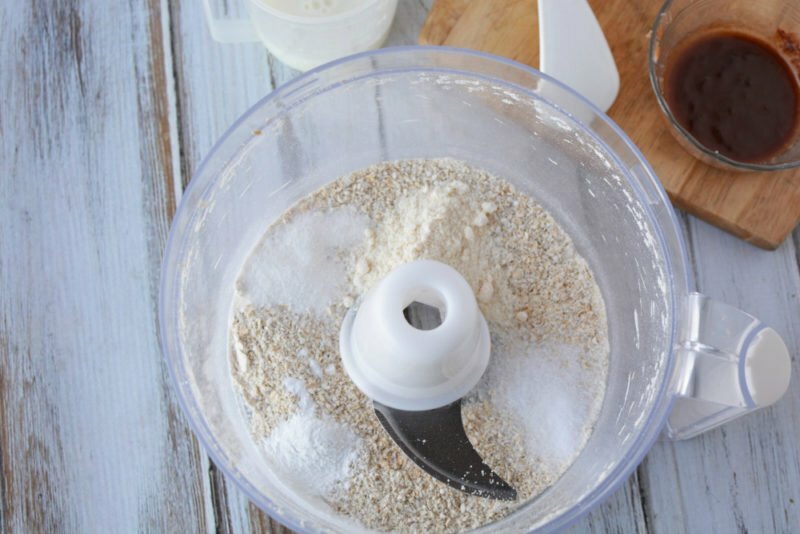 Add oats to a food processor and process for 30 seconds until you have a fine powder. 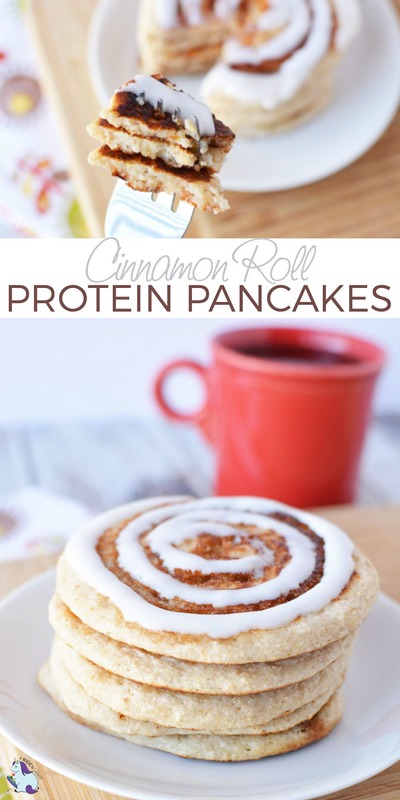 Add flour, protein powder, yogurt, egg white, milk, baking powder, and Stevia. Process for about 20 seconds until mixed well. Use a 3 tablespoon portion scoop to spoon batter onto a pre-heated, greased skillet. 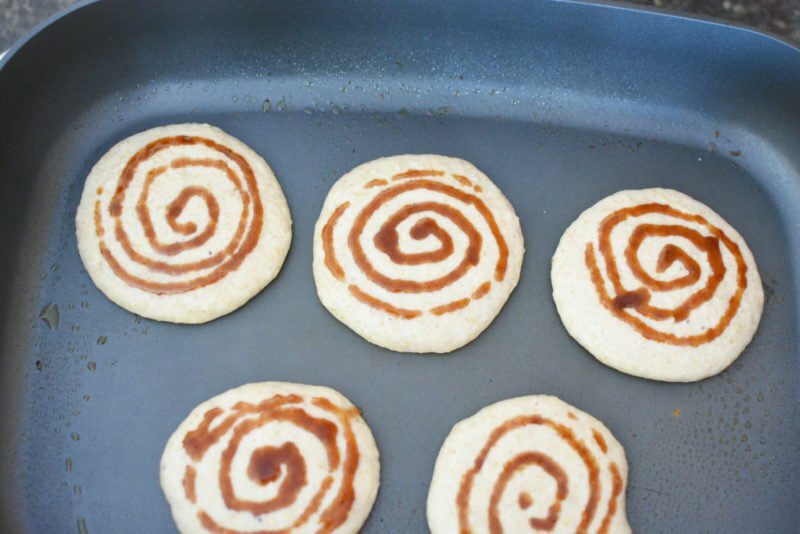 Snip the tip of the bag containing the cinnamon topping and drizzle in a spiral shape onto each pancake. Heat 2-3 minutes per side. 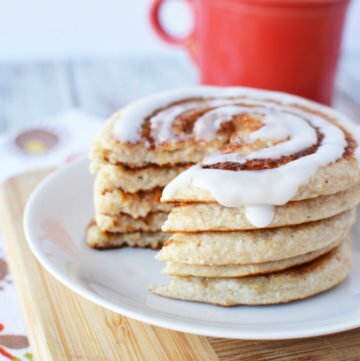 When finished, top pancakes with sugar icing. What other muscle building foods do you include in your diet? Yummy way to get your protein. More cinnamon!! These pancakes certainly look tasty! I would love to make them for my family on a Sunday morning. Wow! This looks yummy! I need to try this. Thank you! Yes, love cinnamon! It’s an instant pick-me-up so I try to sprinkle it in lots of foods. Love the coconut flour and oats over regular flour to avoid the gluten. 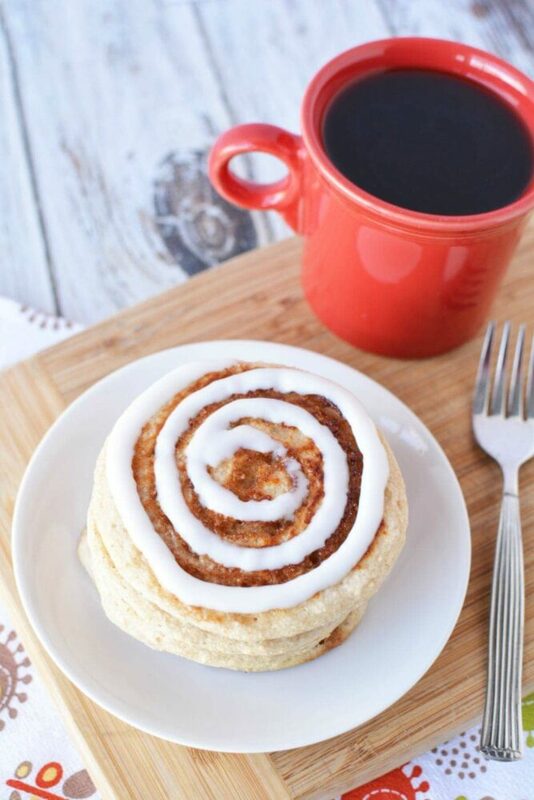 Bring on the cinnamon and the icing! These pancakes look incredible! Can’t wait to try them!